VATICAN CITY (CNS) — The often silent plight of sexually abused children, victims of domestic violence, prisoners, the abandoned elderly, the unemployed and immigrants facing hostility will be given a powerful voice during the Stations of the Cross at Rome’s Colosseum. Thousands of pilgrims and millions of television viewers will be asked to reflect April 18 on the wounds afflicting the world today: political stalemate, economic insecurity, substance abuse, torture, selfishness, fear and the despair of failure. God is on the side of the hurting and the abused, allowing himself be exposed on the cross “to redeem every abuse wrongly concealed,” said one of the Way of the Cross meditations. Several days before the pope’s Good Friday commemoration, the Vatican released the text, along with the commentary and prayers for the 14 Stations of the Cross. Just as the bleeding and tortured Christ urged the women of Jerusalem weeping for him to be women of faith, not of grief, the meditations call on people worldwide not to be disheartened by the world’s crises, but determined to lend a hand and move forward in hope. Every year, the pope asks a person or group of people to write the meditations that are read aloud during the nighttime torch-lit Good Friday ceremony, which he presides over. For 2014, Pope Francis picked Italian Archbishop Giancarlo Maria Bregantini of Campobasso-Boiano — a former factory worker, longtime prison chaplain, champion of the unemployed and fiercely outspoken critic of the Italian mafia. In essence, the pope chose the very kind of apostolic missionary he has been calling all Christians to be. In the meditations, the archbishop, who belongs to Congregation of the Sacred Stigmata, looked at how the wounds and suffering of Christ are found in the wounds and suffering of one’s neighbors, family, children and world. Reflecting on the second station — Jesus takes up his cross — the archbishop wrote that the heavy cross is also “the burden of all those wrongs which created the economic crisis” and its dire consequences of job insecurity, corruption and financial speculation. The archbishop had equally strong words about the sexual abuse of children and its cover-up. “In Jesus, innocent, stripped and tortured, we see the outraged dignity of all the innocent, especially the little ones,” the archbishop wrote. Echoing Pope Francis’ call to “go out,” the meditations prescribe the pope’s same approach: recognizing one’s limitations and sins; “finding God in everyone”; sharing one’s gifts; repairing injustice; and knowing that new life is born “precisely at the moment of trial” and pain. Born in northern Italy, the 65-year-old archbishop spent almost all of his life working in Italy’s south, combating complacency, corruption and social neglect. He made headlines in 2006 when he formally announced to his then-Diocese of Locri-Gerace in Calabria that he was extending the reach of excommunication to those who “abort the lives of our young people” through targeted and cross-fire killings, and poisoned landscapes. The archbishop spent his early years as a factory worker before his ordination in 1978. He worked as a prison chaplain and hospital chaplain before becoming a bishop in 1994. Through his many books and interviews, he championed the same causes — often in the same language — as the future Pope Francis. 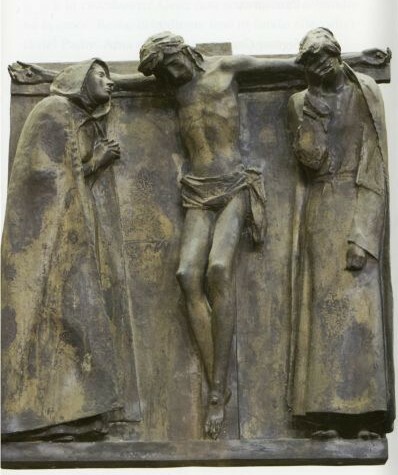 Editors: The Way of the Cross meditations are available in English and Spanish at: http://www.vatican.va/news_services/liturgy/documents/index_via-crucis_en.html.